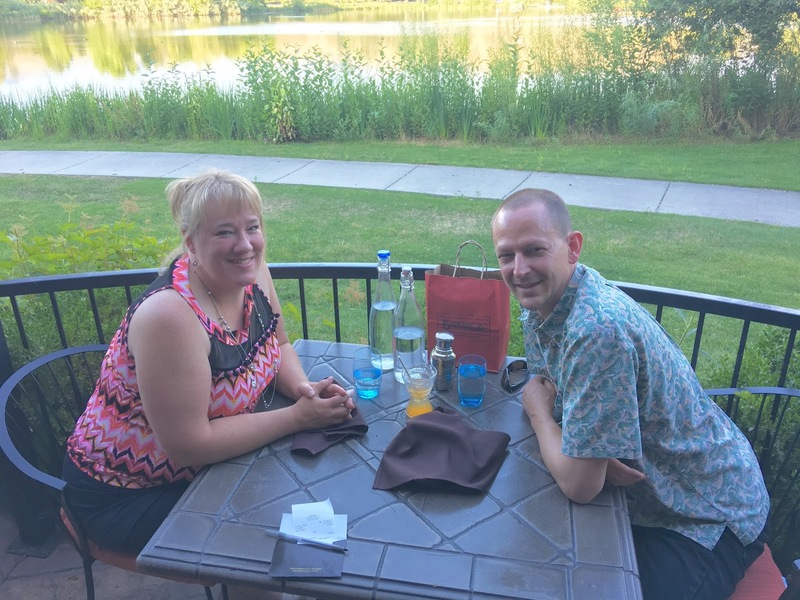 We celebrated our 22nd Anniversary this month! My husband and I got acquainted one summer at college over many coffee break trips to the coffee shop just off campus. I drank a lot of Italian Sodas since I disliked coffee. Friendship bloomed into love! He is proud that after many years of "coffee dates" I can now enjoy his coffee passion. I'm picky and only enjoy an iced latte with an extra pump of syrup, whole milk, and a splash of half n half. I googled the anniversary gift theme and 22 years is copper. So I had a perfect combo of copper and our Coffee Break Designer Series paper! 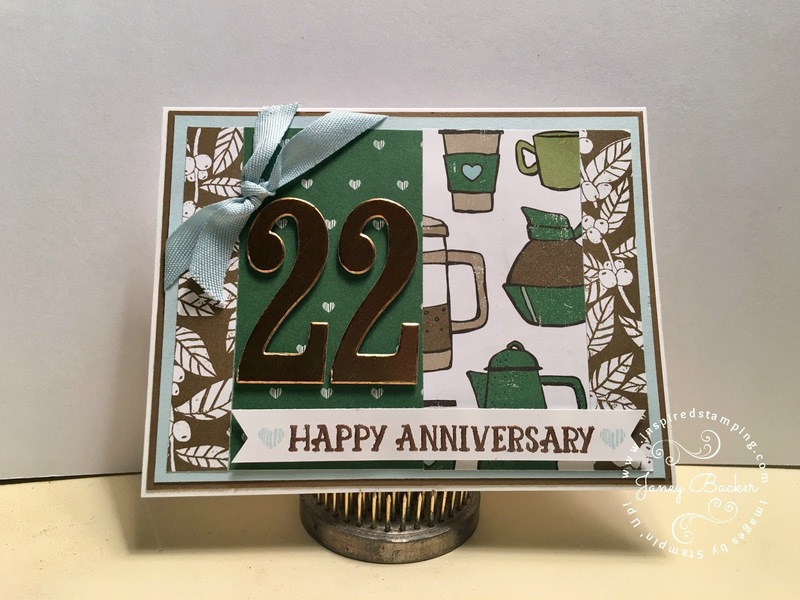 Sadly my idea came to me on our anniversary last week and I didn't get it made until later that week. So it was late. But it is a great combination and I am so tickled with how it turned out! 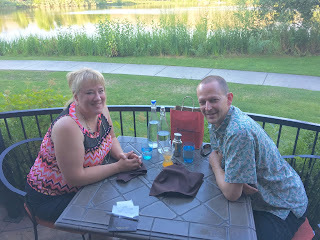 We had a fun date night celebrating - here we are at dinner. The lighting was awful for photos but lovely for dinner.